Okay, I will tell you that I love it when a book has a plot twist that you could never have seen coming. When it is such a shock that you gasp out loud while you are reading it. That happens in this book. There was no way to see this coming and it totally affects the rest of the story. I bow before Meg Wolitzer. It was so good. For the first time in a long time, I would like to talk to her about her writing process and where this came from. Let me say right now that I think that the description of the book leaves it a little flat. It is so much better than the description. I’m not sure if I can do better than those paid to tell you the description but I will make an attempt. The book tells the story of four characters. Two of the characters are the center of the story. Greer and Cory are high school sweethearts. They are both very bright and often referred to as the “twin rocket ships”. They look like they will be able to be very successful and they have big plans. Greer is very quiet and needs to learn to use her “outside voice” to be able to stick up for herself. She meets Zee in college and they become fast friends. Zee is a feminist and introduces Greer to the movement. They both go to see the famous feminist, Faith Frank, talk and Greer becomes a dedicated follower of Faith Frank. While she knows that there are more zealous feminist movements, she continues to be in awe of Faith and her role. The story tells us about Greer, Cory, Zee, and Faith and how their lives come together and then separate and how some come back together. It is about friendship and growing and finding or accepting your place in the world. And I loved this book. I want you to read it and love it. 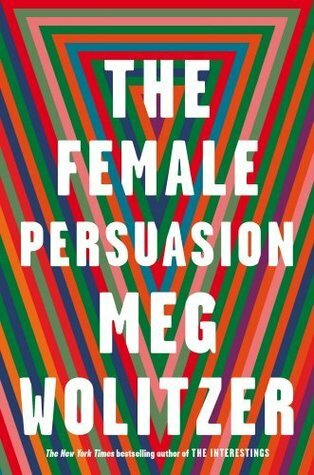 This entry was posted in Talking Books and tagged Fiction, Meg Wolitzer, The Female Persuasion. Bookmark the permalink.